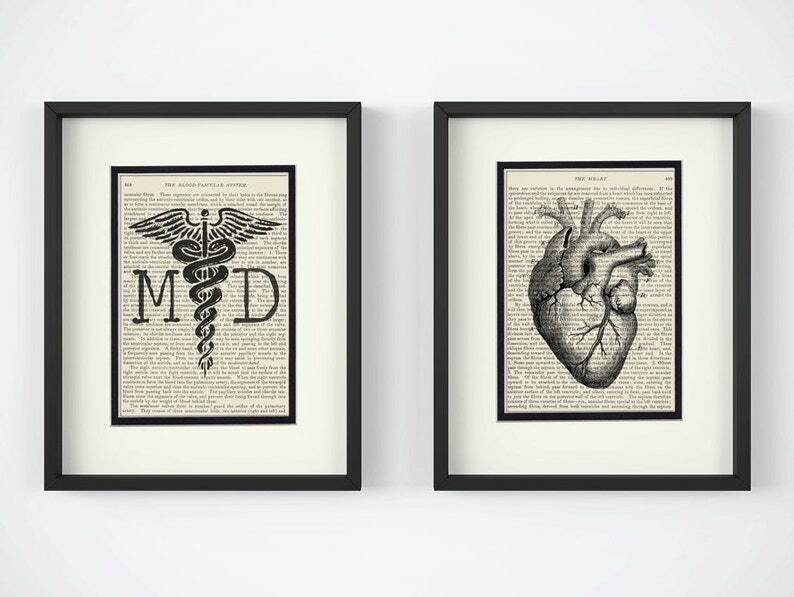 MD Doctor Caduceus and Heart Illustration over Vintage Anatomy Book Page Art Print. Mounted under an 8x10 creamy white mat with an inner black border. A unique one of a kind of piece of artwork. 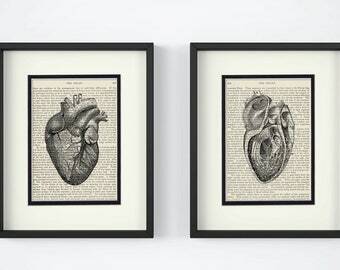 Bought this as a gift for the physician I work with. He is the guy that has everything. He truly loved it and wanted to know all about the pages! Purchased three of these for a married MD pair. They loved them! Seller was super helpful and shipped promptly! Great quality and content.